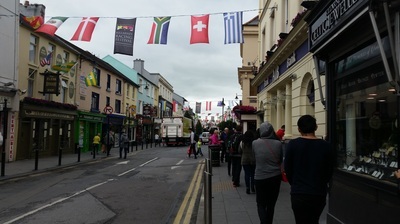 Ireland, Wales and England 2015. 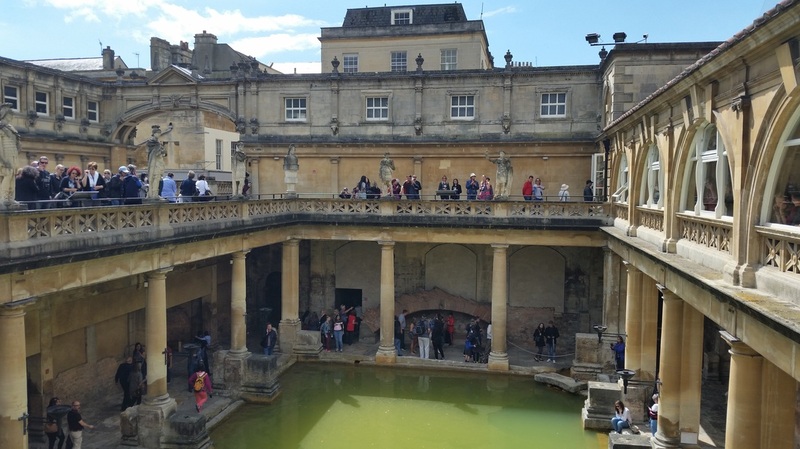 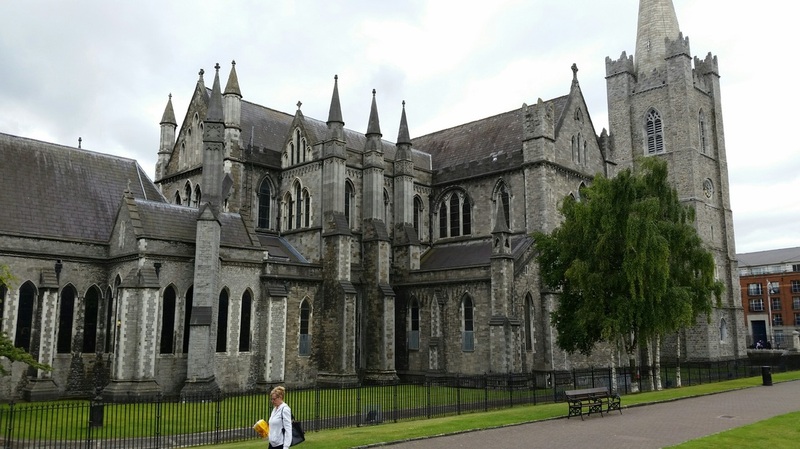 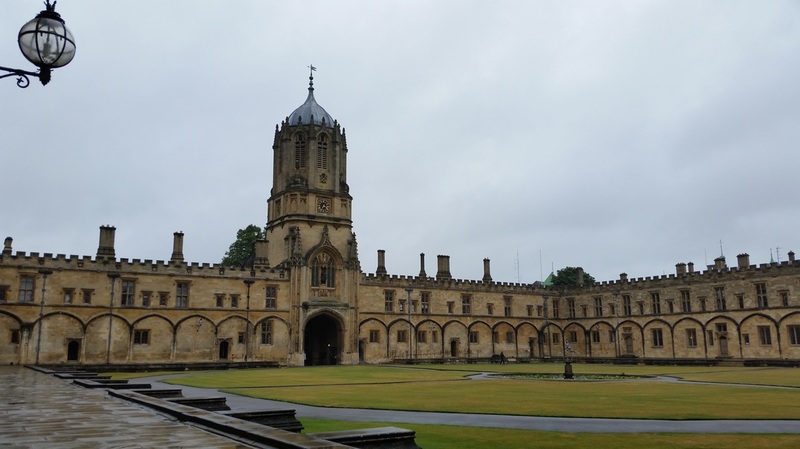 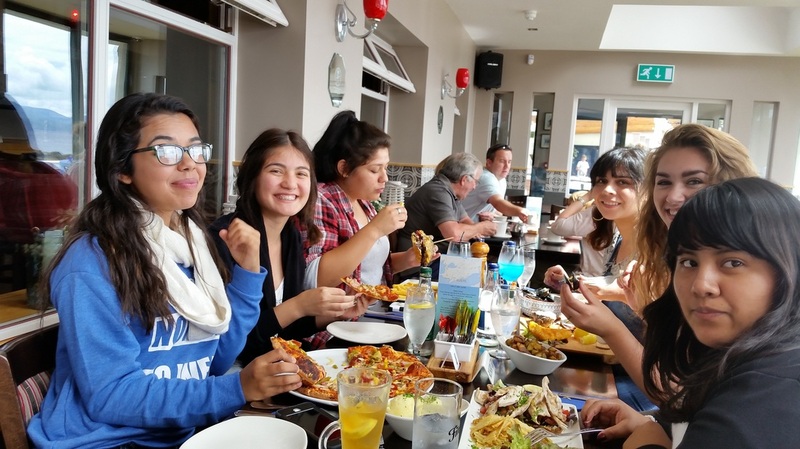 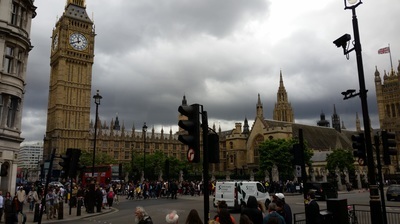 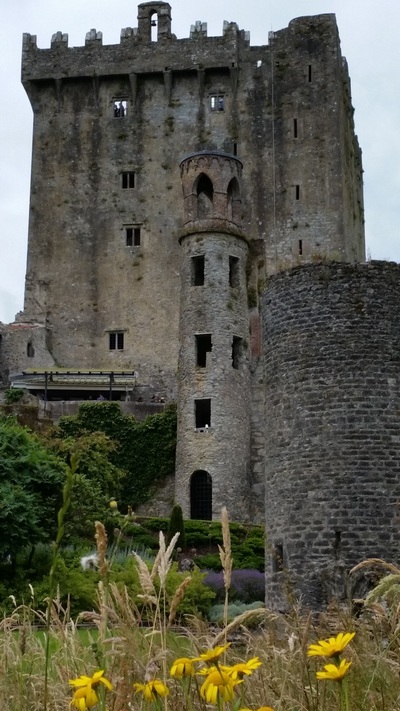 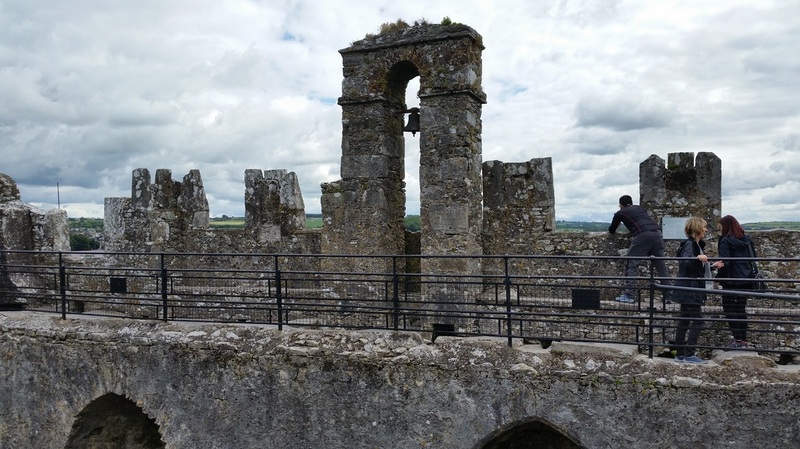 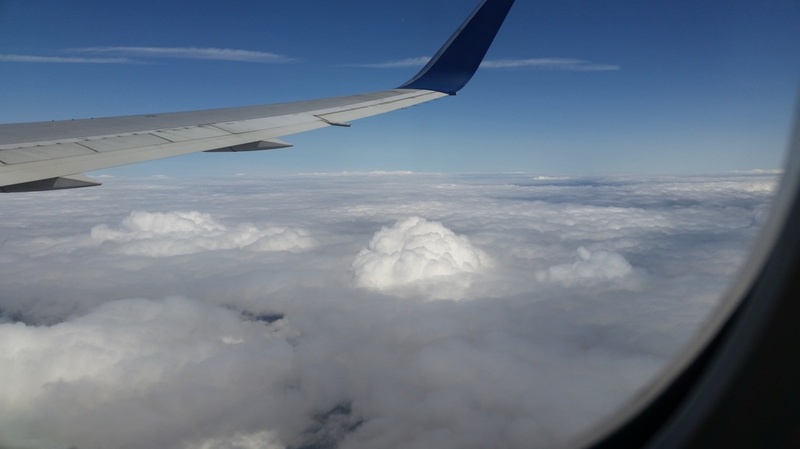 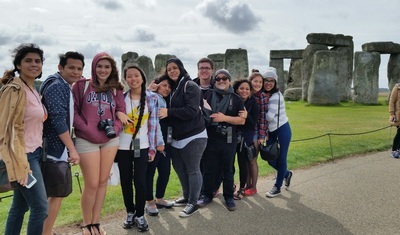 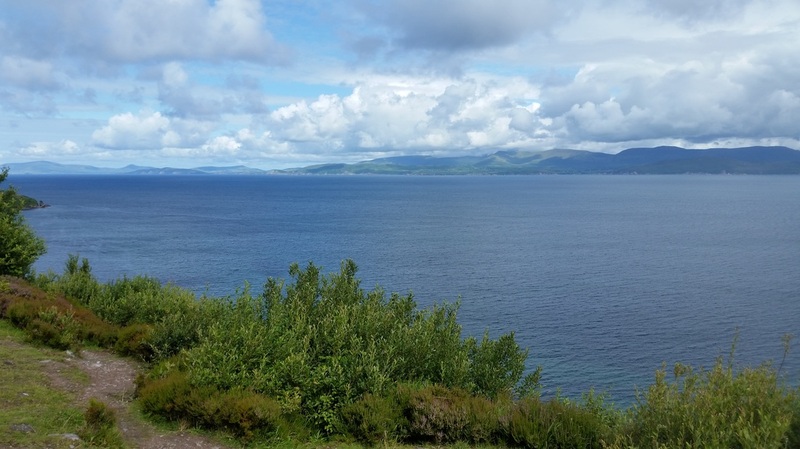 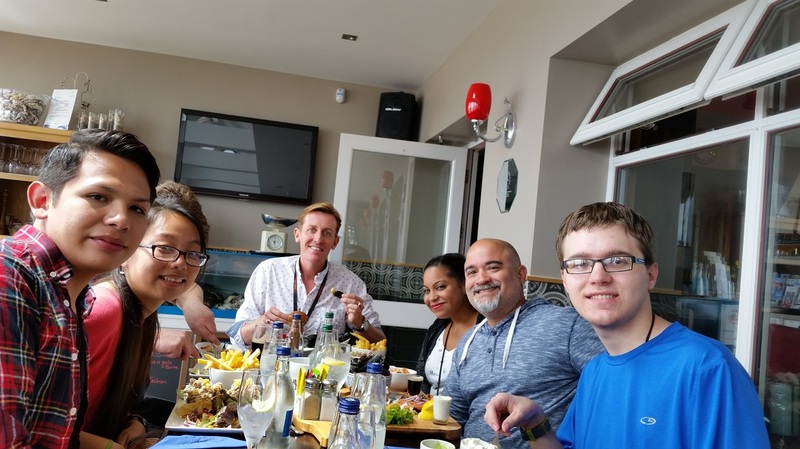 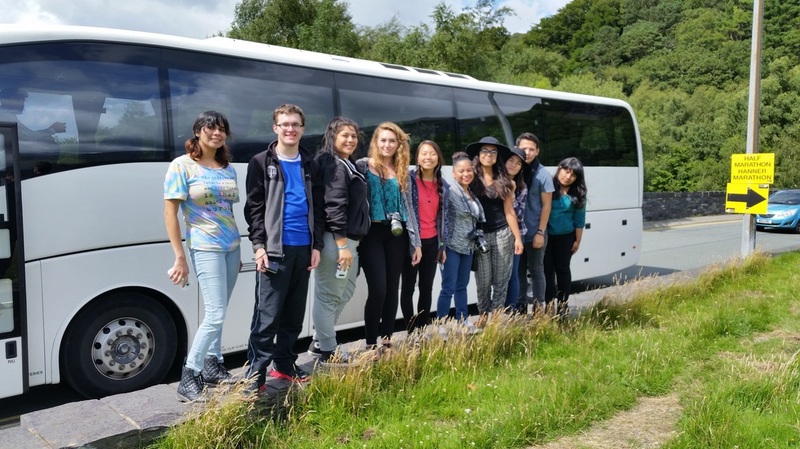 We visited the Ring of Kerry, Blarney Castle, Snowdonia National Park, Oxford Univeristy, Shakespeare's birthplace, Stonehenge, the Roman Baths and more. 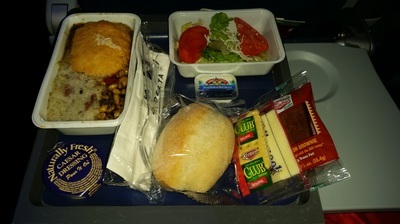 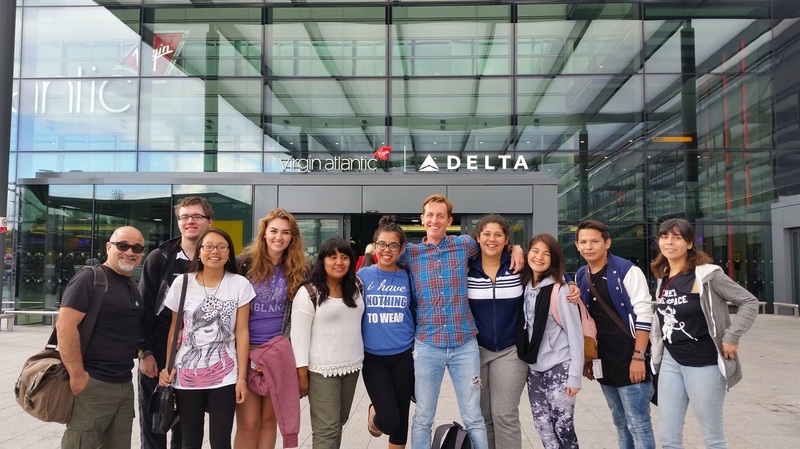 Our Tour director was Alex Sparham, a Briton from Brighton, and our tour company partner was Explorica, Inc. Air travel courtesy of Delta Airlines. All art materials by Blick. 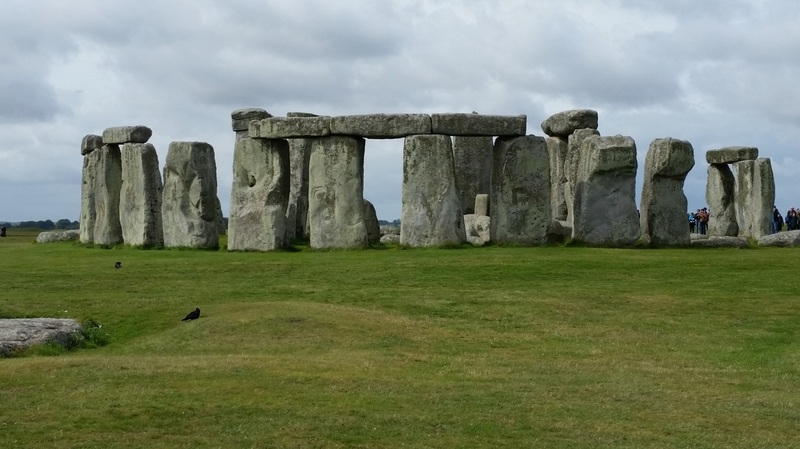 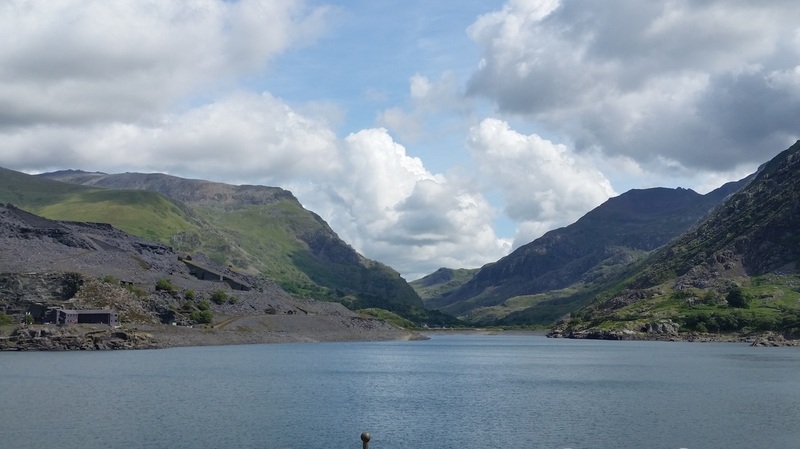 Most photos shot with a Samsung Galaxy 5 mobile phone. 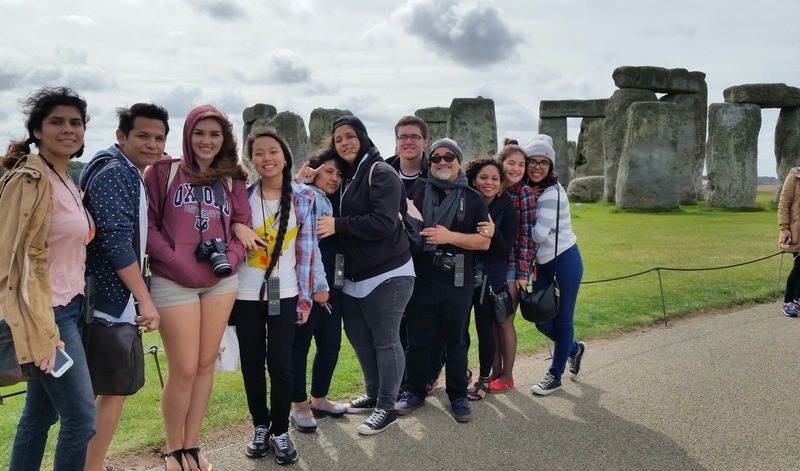 Additional photos contributed by Mrs. Tova Black. Images in reverse chronological order. Delta #035, London Heathrow to LAX, nonstop flight home. 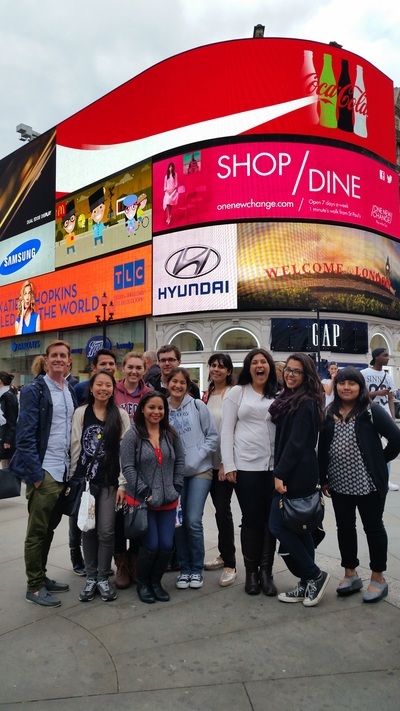 Last group shot with Alex, our wonderful tour director, at London Heathrow Airport. 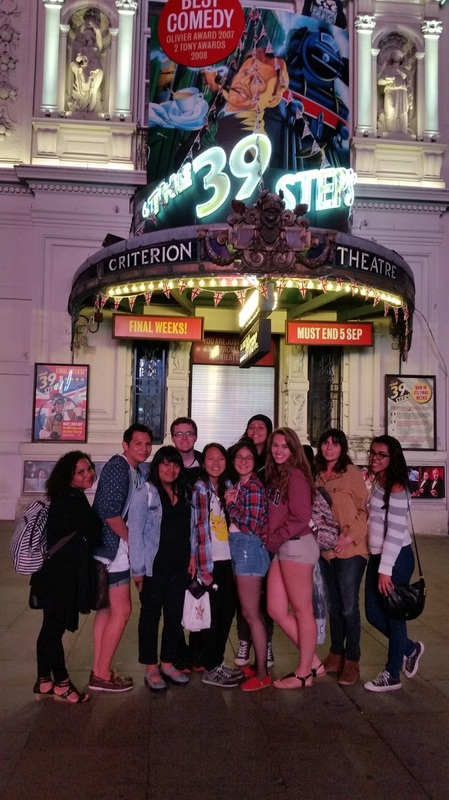 Outside The Criterion Theater in Picadilly Circus, where we saw "The 39 Steps," a comedic adaptation of the film by Alfred Hitchcock, with only four actors playing every role. 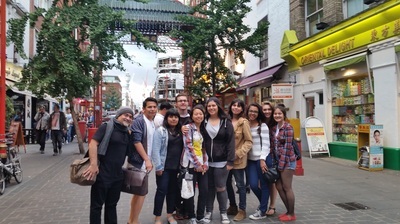 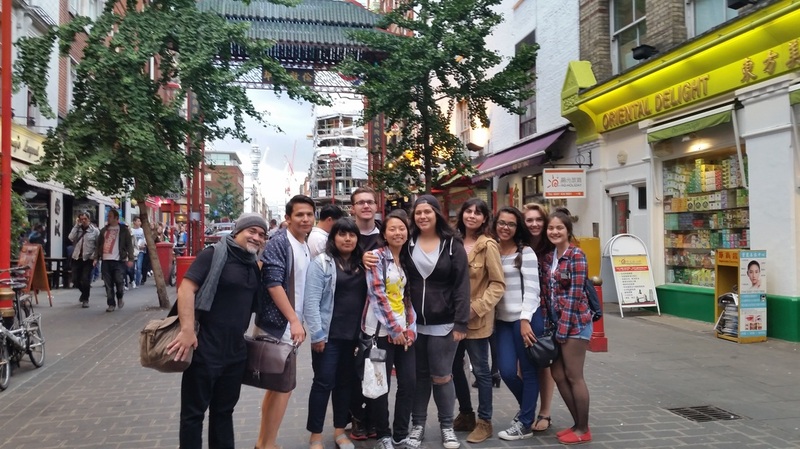 In London's Chinatown for dinner before the show. The ancient Roman baths in the city of Bath. In front of 3000 years of history. 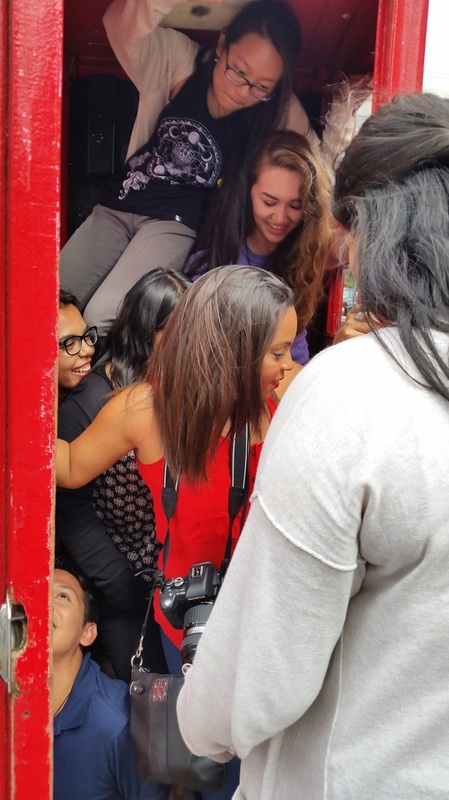 Attempting the "London Phone Booth Challenge." 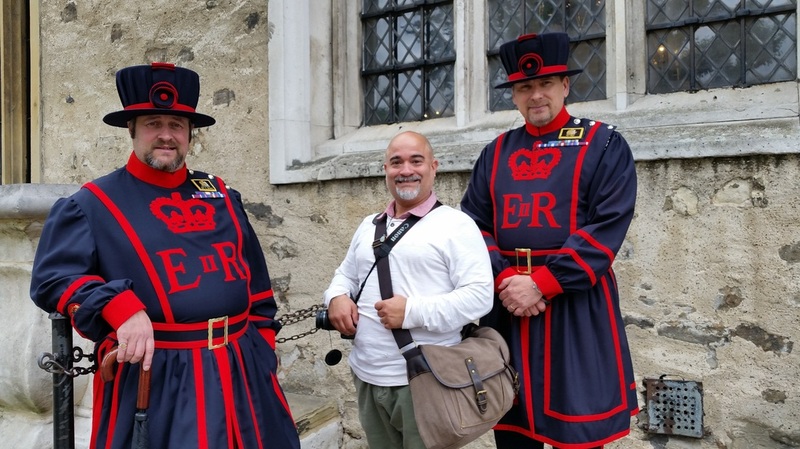 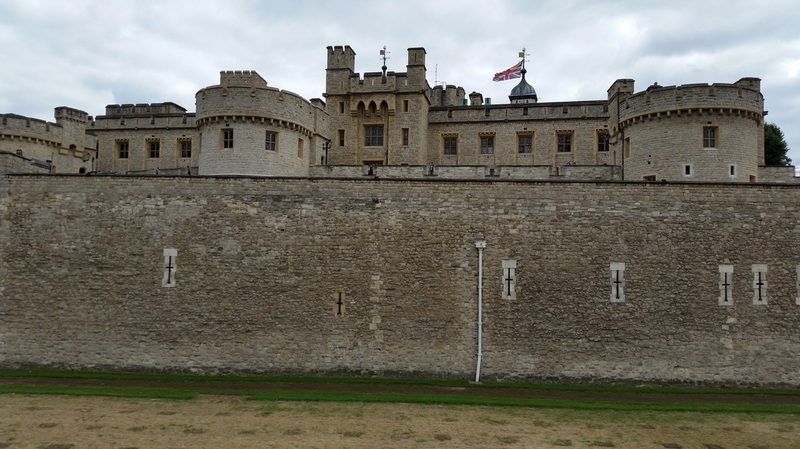 The infamous Tower of London, Where the enemies of many kings were imprisoned or executed, including Sir. Walter Raleigh, and three of Henry the VIII'S wives. Also houses the crown jewels. 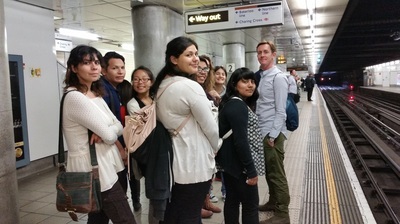 First tube ride on the underground. 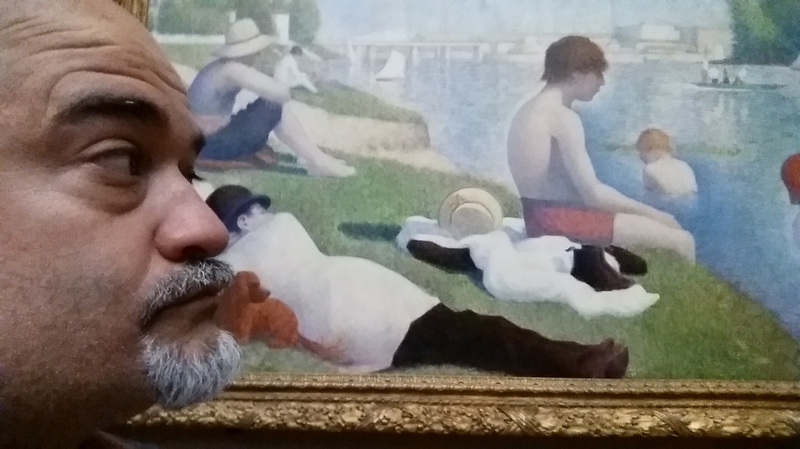 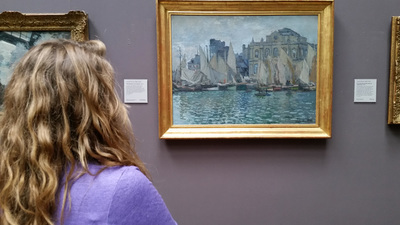 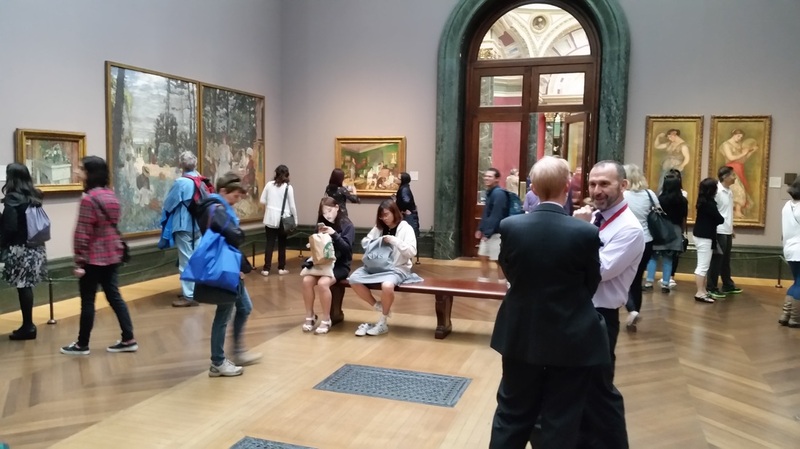 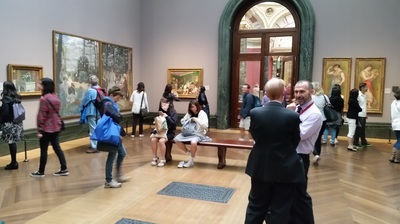 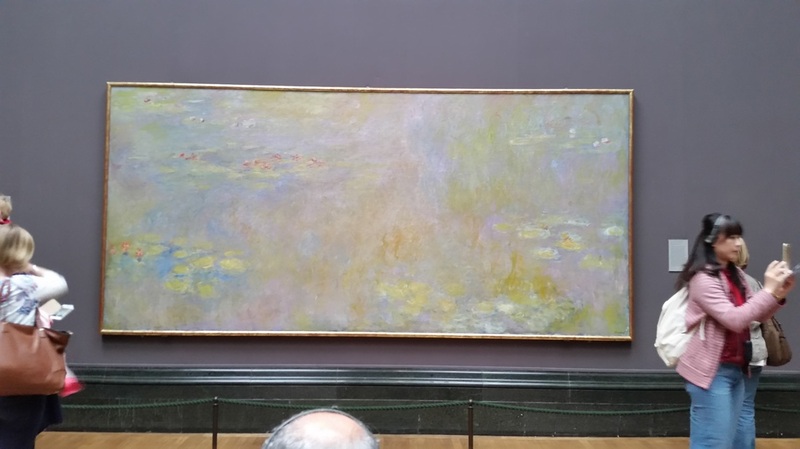 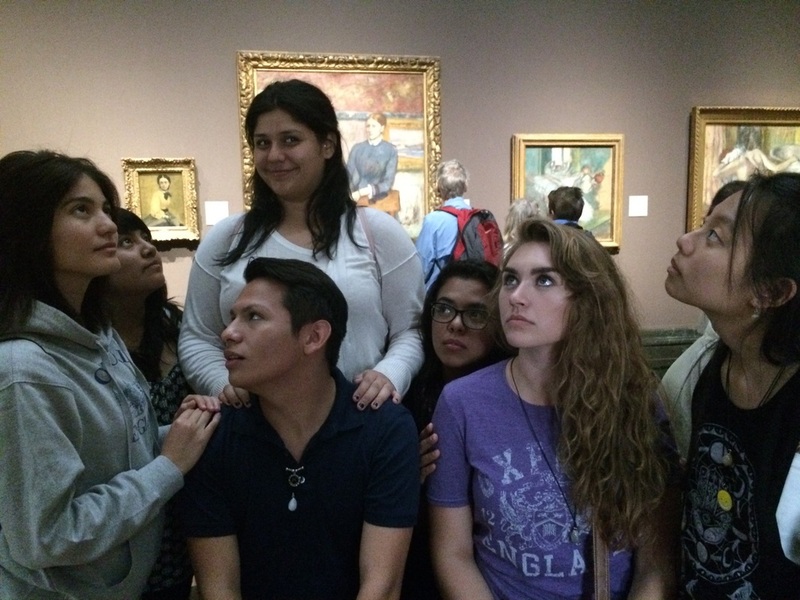 Contemplating masterpieces at the National Gallery. 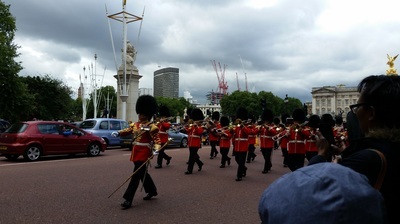 The changing of the guards, Buckingham Palace. 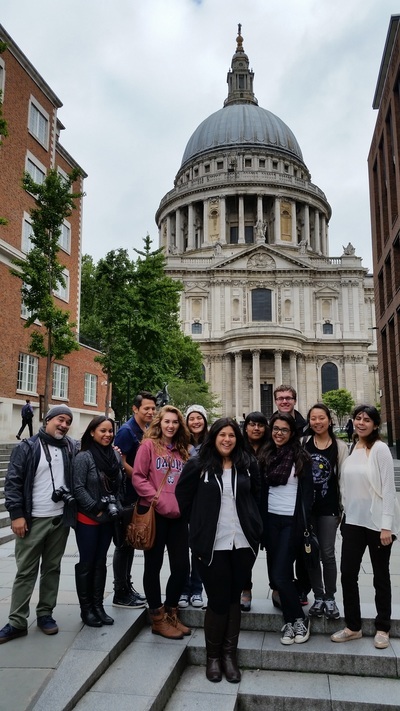 Outside St. Paul's Cathedral, London. 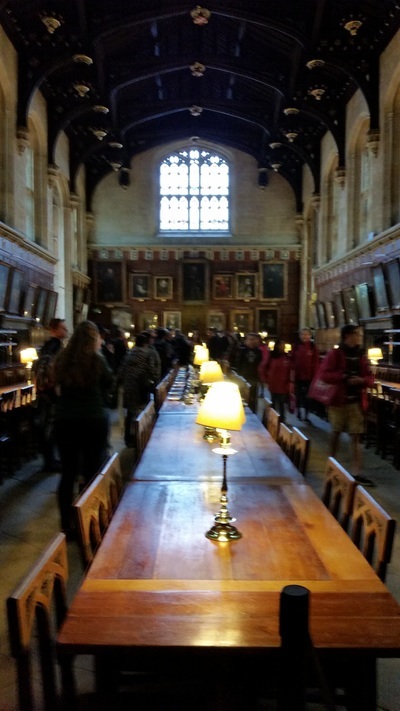 The Oxford University dining room, where many scenes from the "Harry Potter" movies were filmed. 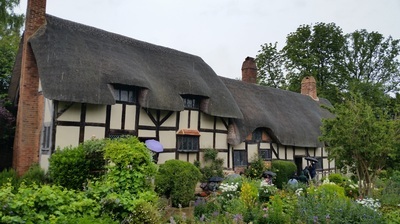 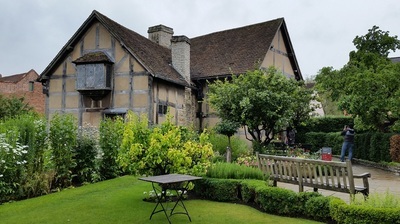 Shakespeare's birthplace, Stratford upon Avon, England. 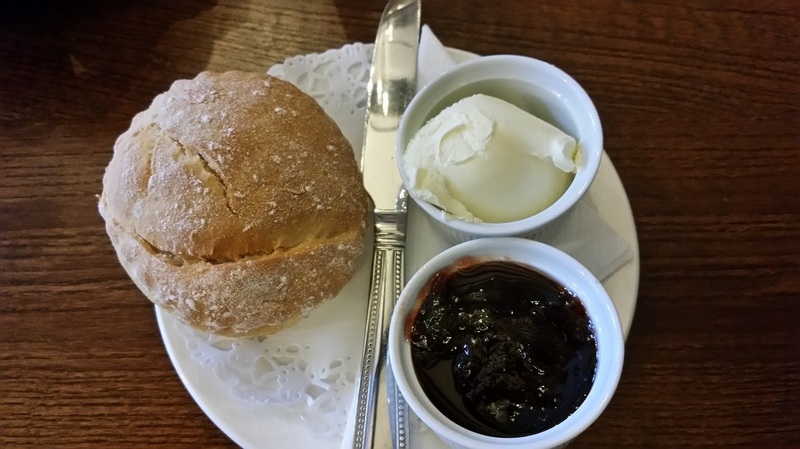 Tea and scones with cream and jam in Stratford. 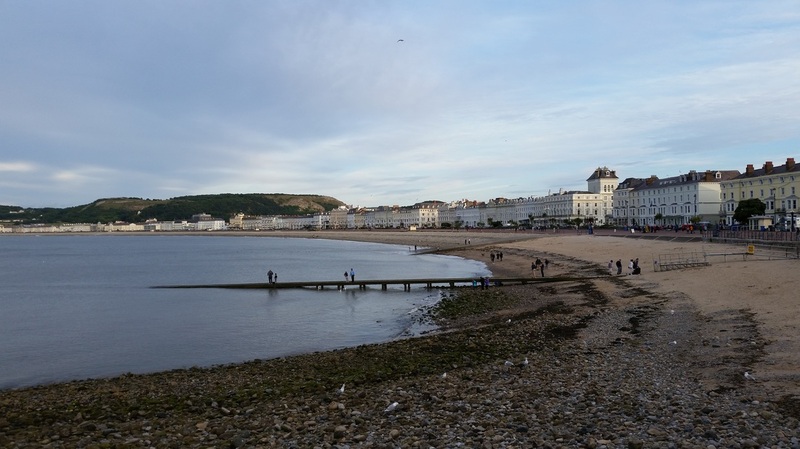 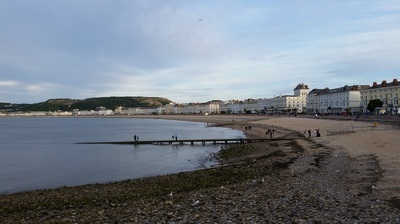 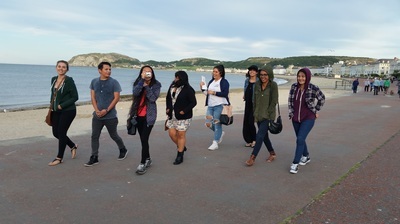 Walking along the beach after dinner in Llandudno, Wales. 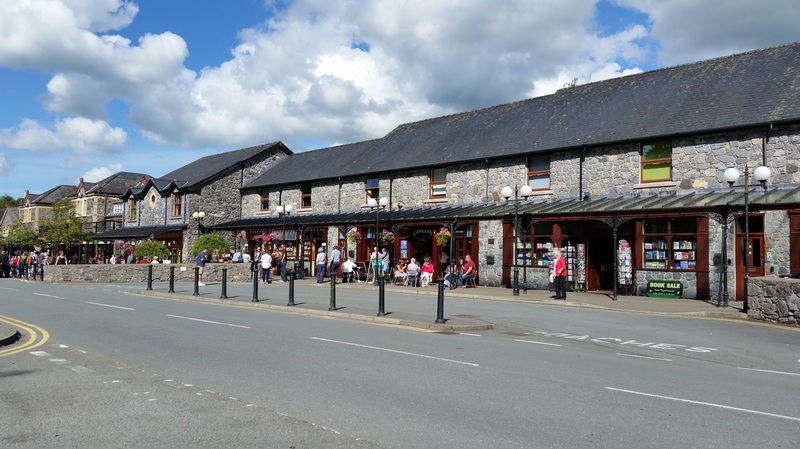 The beautiful village of Betws-y-Coed in North Wales. 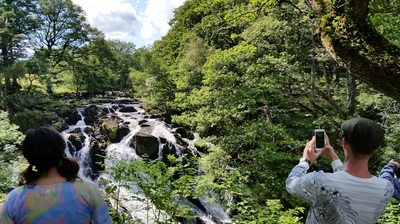 Swallow Falls in Snowdonia National Park in Wales. 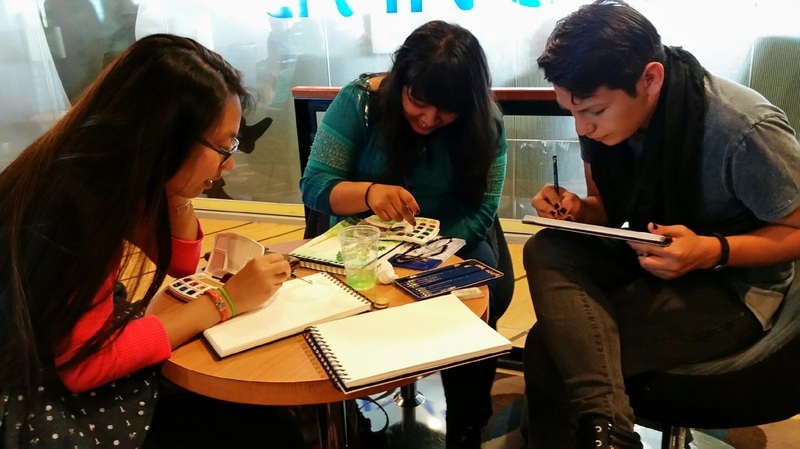 Students create an impromptu art studio on board. 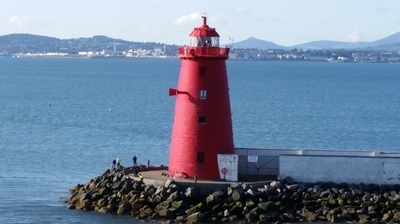 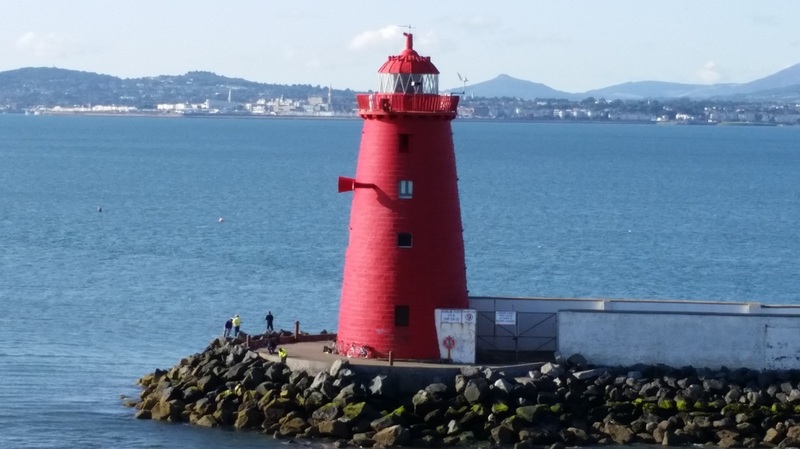 A lighthouse viewed from ferry. 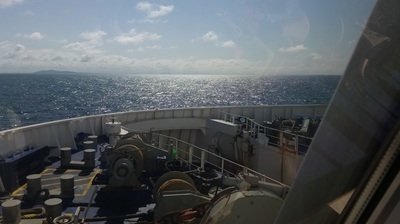 View from ferry. The island of Britain in the distance. 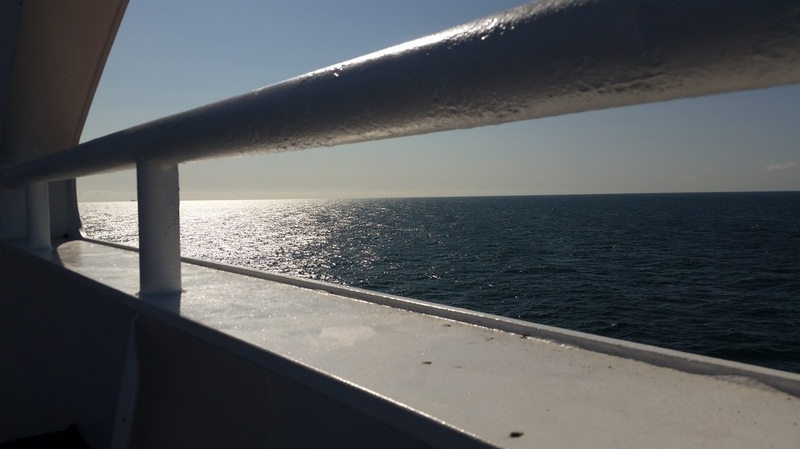 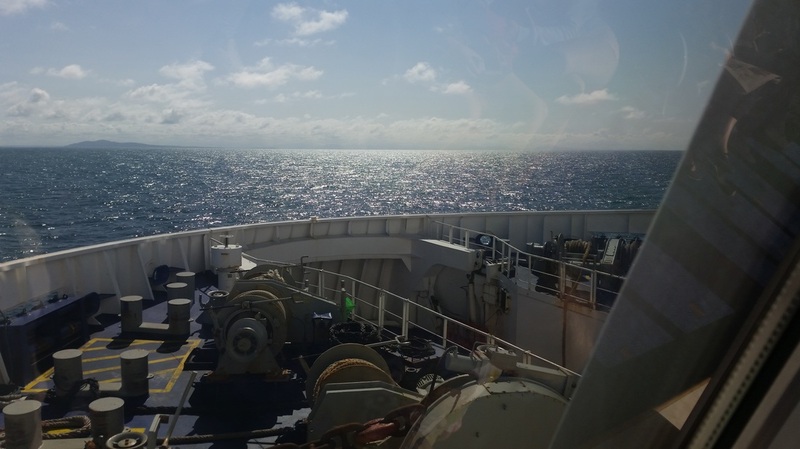 View from ferry across the Irish Sea to Wales. 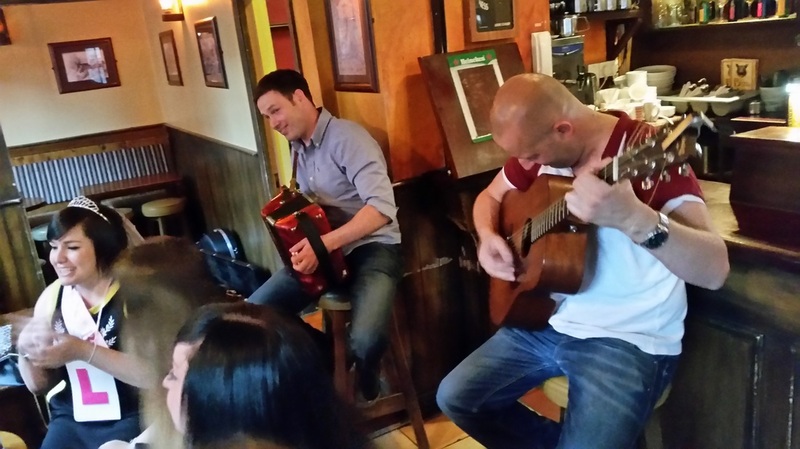 An honestly rollicking evening at the Boar's Head in Dublin. 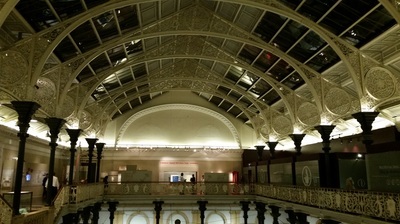 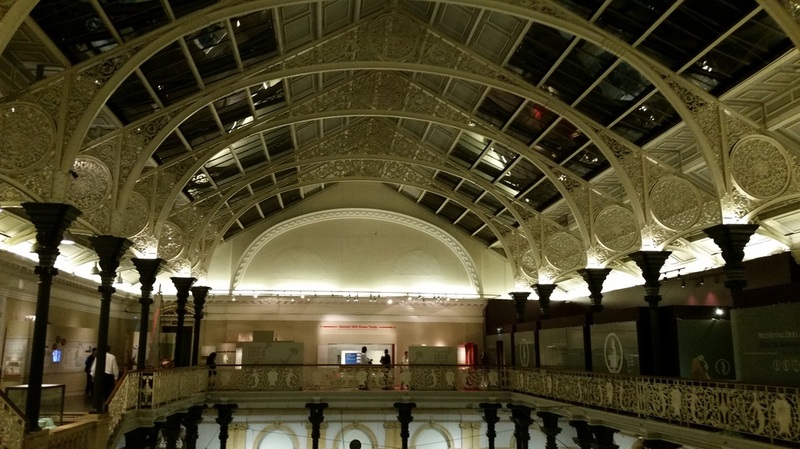 Inside the National Museum of Ireland - Archaeology, Kildare Street. 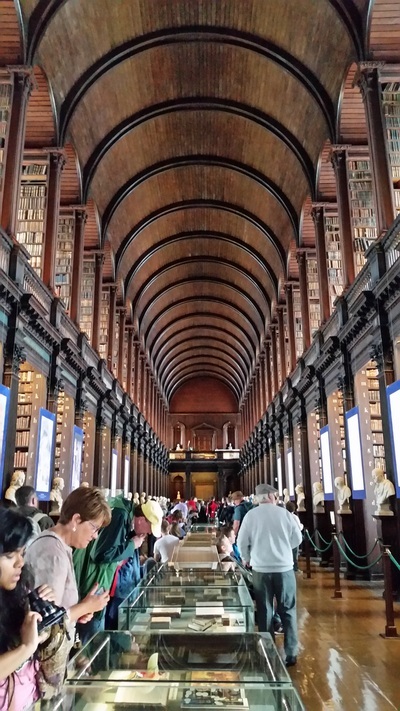 Trinity College library, where we saw the Book of the Kells. 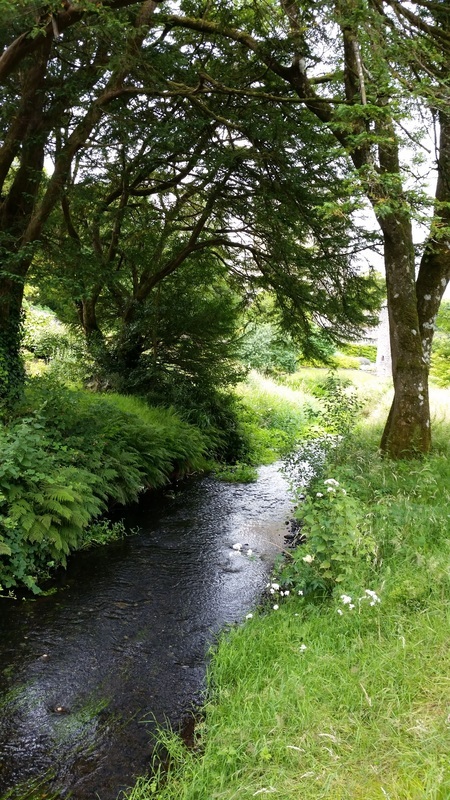 Creek on the grounds at Blarney Castle. 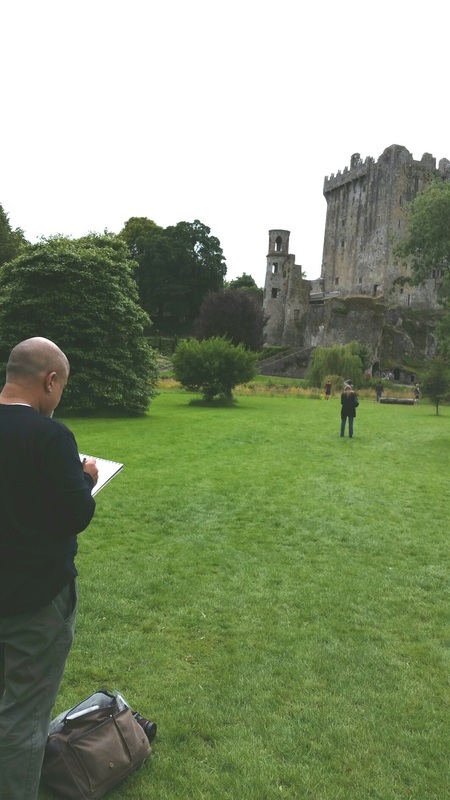 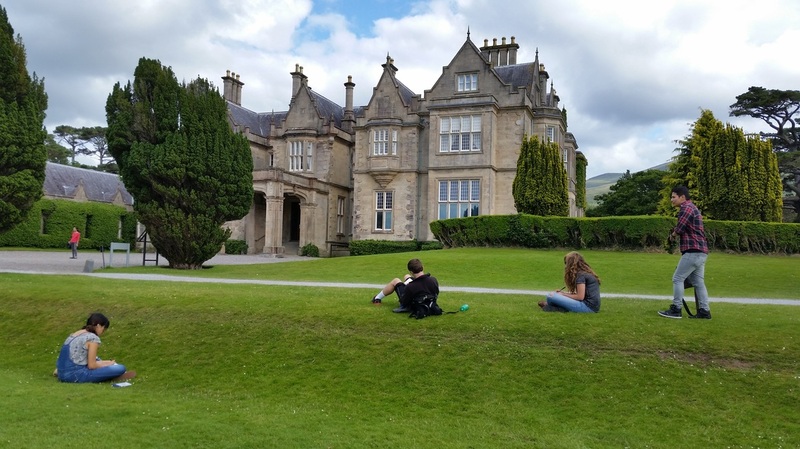 Students sketching on the grounds of Muckross House. 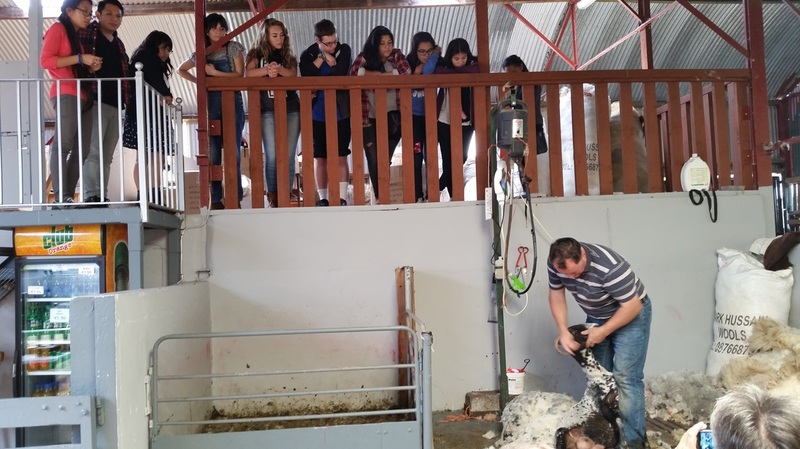 Watching a sheep shearing demonstration at Kissane sheep farm. 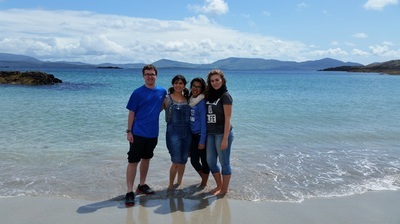 Robert, Sienna, Alyssa and Denise on the beach. 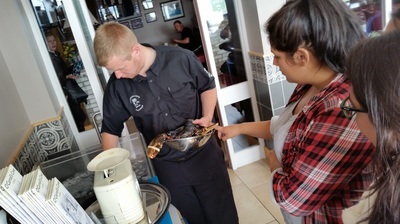 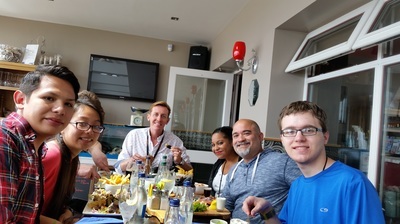 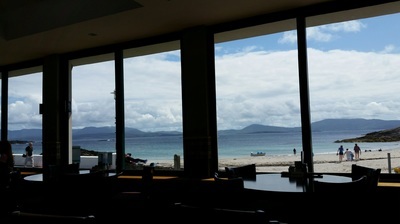 Lunch at O'Carroll's Cove on the edge of the Wild Atlantic Way. 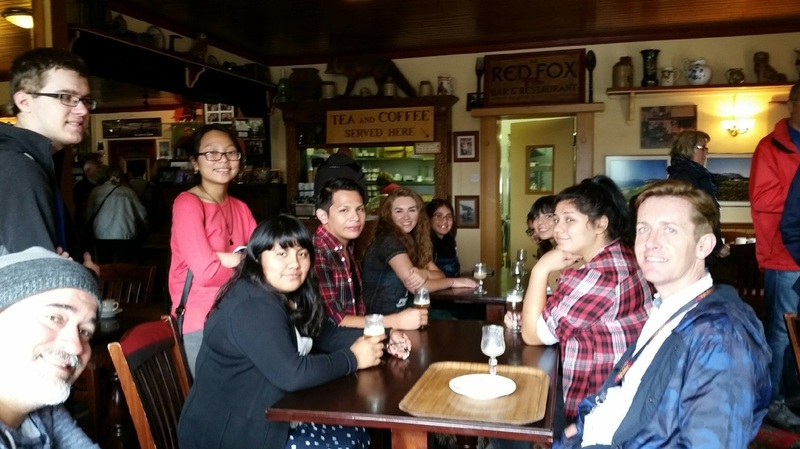 Enjoying an Irish Coffee at The Red Fox Tavern. 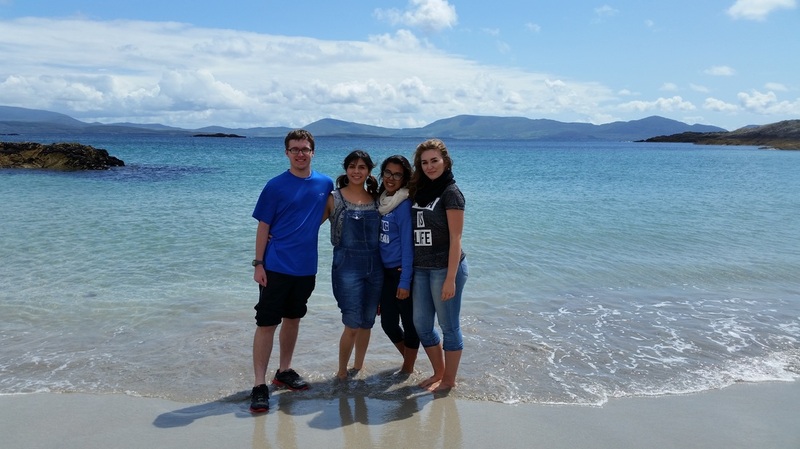 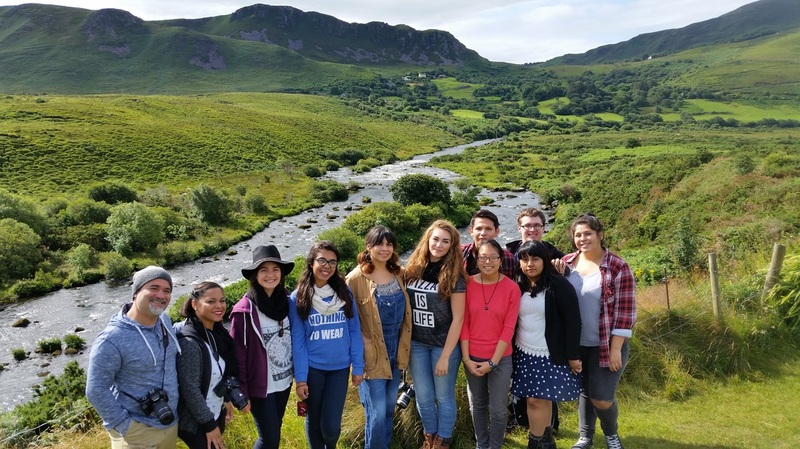 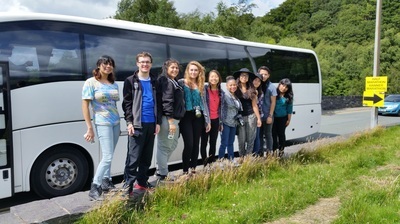 The group poses at the beginning of our motorcoach journey along the Ring of Kerry. 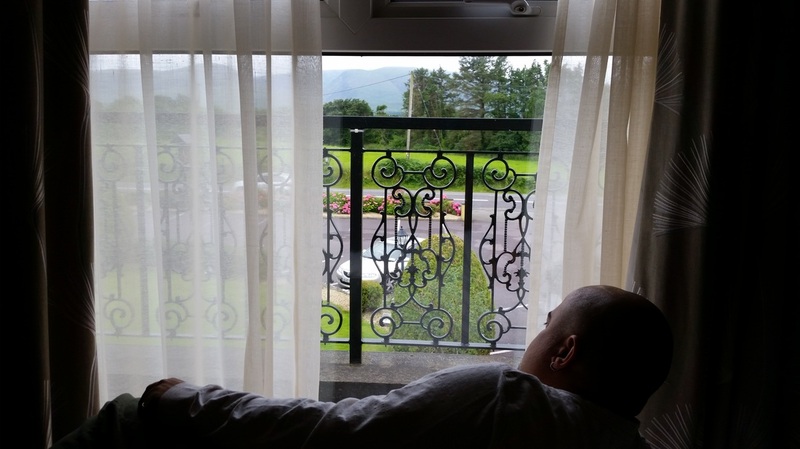 Celtic dreams at the Torc Hotel, Killarney. 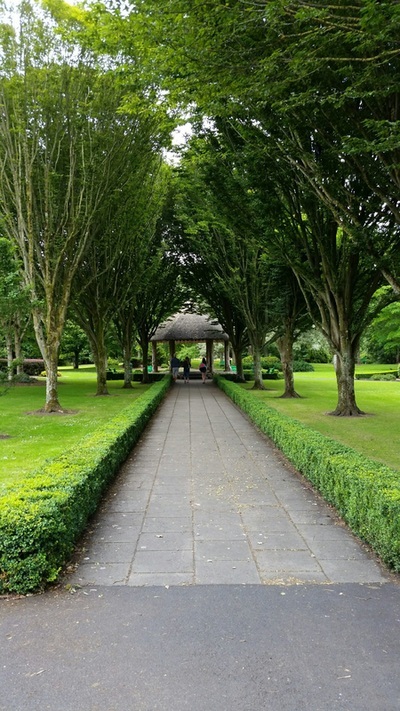 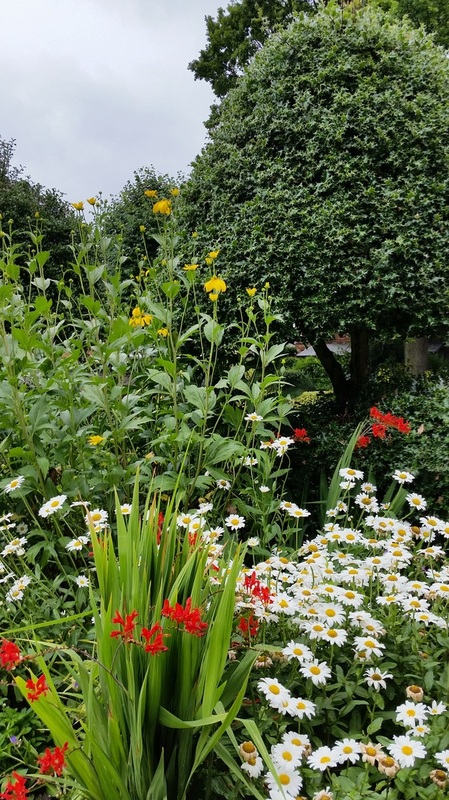 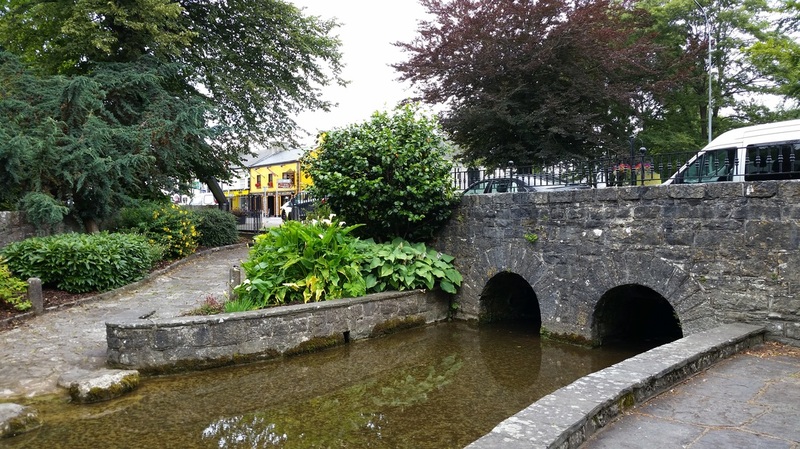 Central Park in Adare, in Ireland. 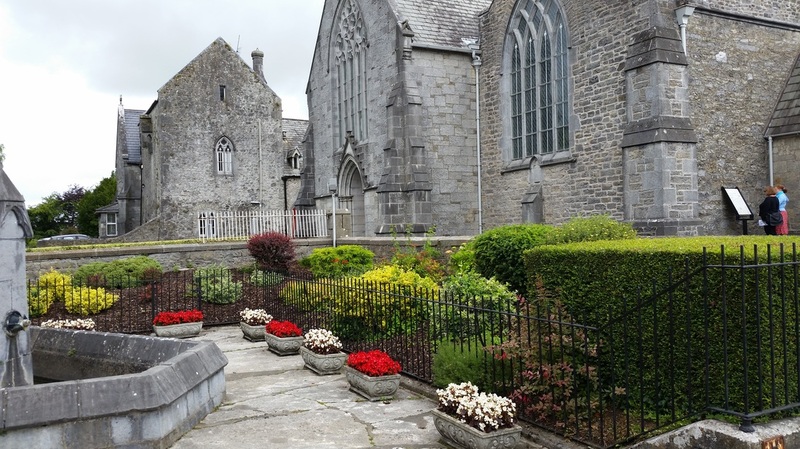 Holy Trinity Abbey Church, Adare. In the County of Limerick. 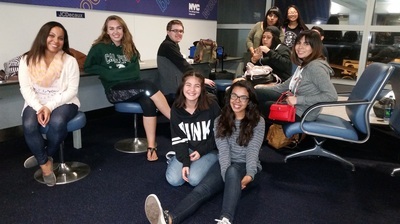 Travelers awaiting our second flight at JFK airport, New York. 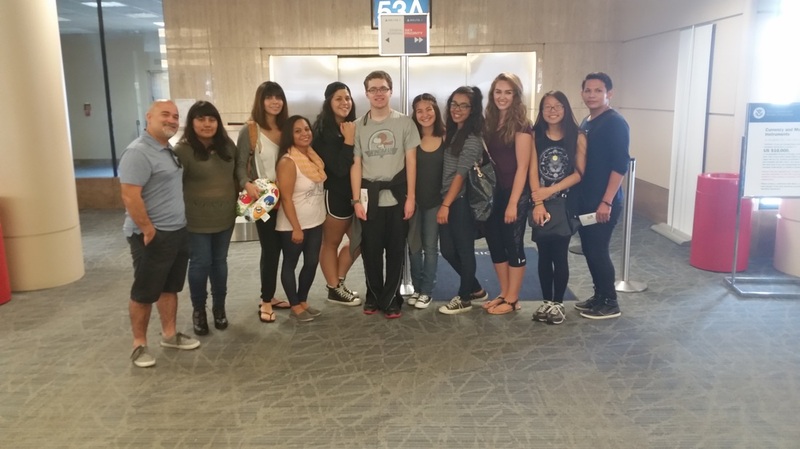 All of the travelers at LAX ready to board Delta flight 2262! 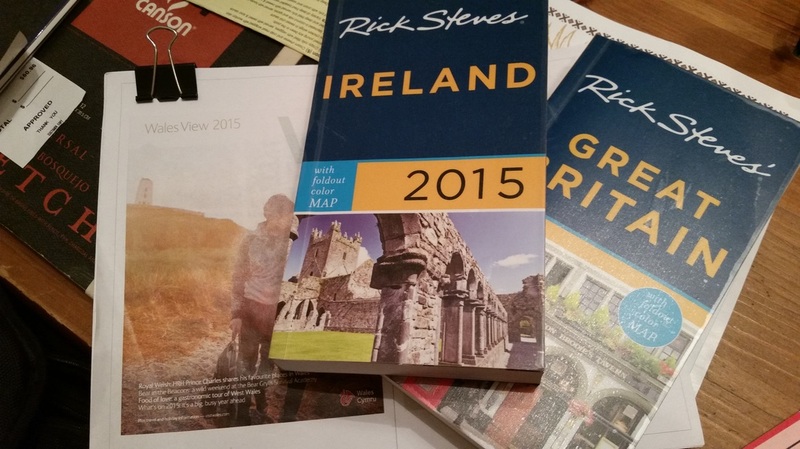 Research for upcoming trip: Welsh tourism info and Rick Steves.